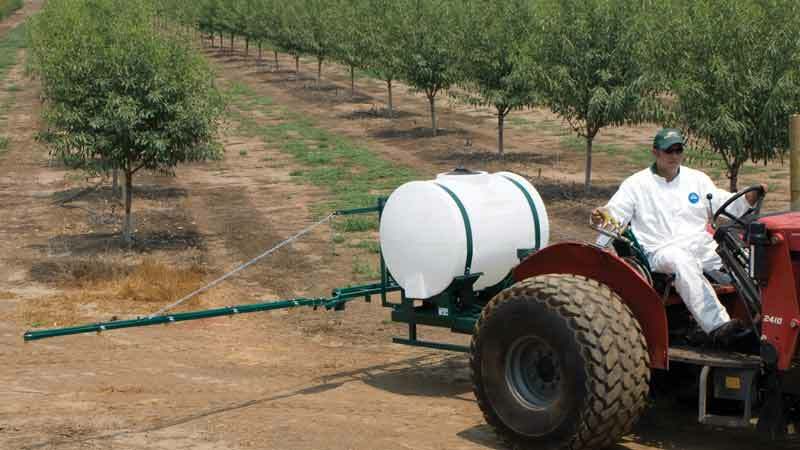 All Norwesco applicator tanks feature a lid which threads directly into the fill-opening of the tank to prevent the sloshing or leaking of tank contents during transport or application. 20 gallon poly applicator tank with a 3/4" poly fitting and a 5" lid. 30 gallon poly applicator tank with a 3/4" poly fitting and a 5" lid. 55 gallon poly applicator tank with a 3/4" poly fitting and a 5" lid. 70 gallon poly applicator tank with a 3/4" poly fitting and a 5" lid. 85 gallon poly applicator tank with with a 3/4" poly fitting and a 5" lid. 100 gallon poly applicator tank with a 3/4" poly fitting and an 8" lid . 110 gallon poly applicator tank with (2) 1 1/4" poly fittings and a 8" lid. 150 gallon poly applicator tank with (2) 1 1/4" poly fittings and a 8" lid. 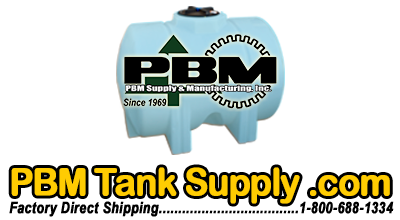 150 gallon poly slim line applicator tank with (2) 1 1/4" poly fittings and a 8" lid.